Educating the next generation on World Cleanup Day. Melati Wijsen and volunteers from the now international Bye Bye Plastic Bags Movement. Saturday, September 15 is World Cleanup Day, an initiative born from the The Let's Do It World movement, which began in Estonia in 2008 when around 50,000 people (around 4 percent of the population) joined forces to clean up the entire country in just five hours. Now, ten-years later millions of volunteers from 150 countries will be part of a coordinated effort to create a cleaner future in what is being called World Cleanup Day 2018 with the motto One Day. One Planet. One Goal. And Bali is playing its part in this historic event with activities scheduled to be held simultaneously across the island in Jembrana, Tabanan, Badung, Singaraja, Gianyar, Bangli, Klungkung, Karangasem and Denpasar City in 29 designated locations. The Bali office of the Indonesian Association of Hotels and Restaurants (PHRI), the Bali Tourism Office, the Regional Tourism Development Agency (BPPD), as well as many other institutions and communities such as One Island One Voice, are supporting the event. 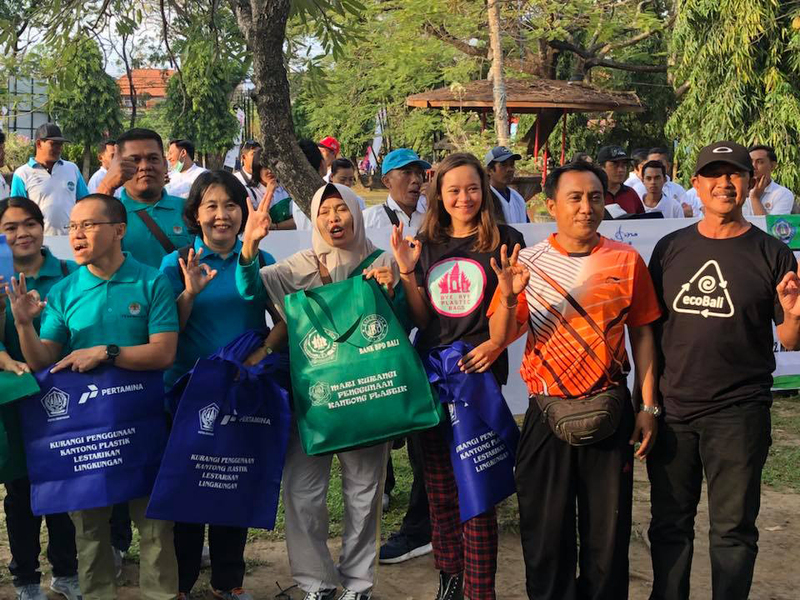 Event Coordinator, Agung Darma Suyasa, told local news wires that World Cleanup Day for Suksma Bali is the first step in re-socializing the dangers of plastic waste. Bali's tourism industry, spearheaded by hotels, resorts and restaurants is the single largest stakeholder in the island's health and wellbeing. According to Times Indonesia, I Nyoman Astama, Chairperson of the Bali branch of the Indonesia Hotel General Manager Association IHGMA, said plastic waste endangers marine ecosystems, human health and has a negative impact on the number of visitors to the island. He explained that the average plastic bag is only used for 25 minutes, but to decompose it can take anywhere from 500 to 1,000 years "and when broken down, plastic particles will pollute the soil and ground water." Vice Chairman of IHGMA, Ramai Adnyana applauded the World Cleanup Day initiative arguing the movement was a significant step in reducing plastic waste. "This commitment will have a significant impact on reducing plastic waste in the hotel industry environment," he said, adding "Say No To Plastic" in the hotel environment. Chairperson of the Suksma Bali Committee, Yoga Iswara, added the event "will be an educational tool for students and the younger generation as well as for the community."